Timber cladding can offer designers, contractors and homeowners a huge range of aesthetic, environmental and practical benefits. While there are plenty of alternatives, each with their own positives and negatives, the traditional appearance of timber cladding has won its fair share of fans. A superb way to protect a building from all kinds of weather, individual pieces of timber cladding are installed over exterior walls to shield them. So why choose timber cladding? Below are several benefits timber cladding can give to any building. Timber is a natural material, and cladding has a wonderful warm, comforting and eye-catching appearance, enhancing the overall aesthetic of a building. 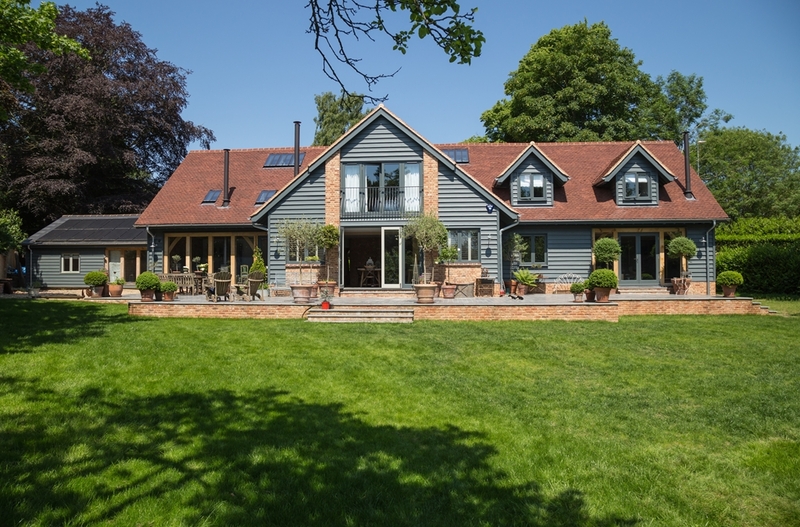 Timber cladding’s range of wood types and timber grades means that an entire spectrum of natural tones can be achieved, with colour evolving as the wood weathers and ages. Available at custom lengths and in a choice of profiles, and has many applications due to its ability to be trimmed to any size. It is also available in various patterns and colours and can be used on lots of architectural designs of any scale. Timber cladding’s sheer variety means that is lends itself to experimentation with different decorative effects. It can also be stained, painted or allowed to go through its own weathering process over time for a truly unique appearance. You could even paint your home a different colour almost every year. Being a natural product, timber cladding is genetically designed to withstand a great deal of changeable conditions and impacts. Able to last for many years when it is properly maintained, scuffs and chips aren’t as noticeable on timber cladding as they are with other types of cladding due to its natural appearance and grain. Timber is naturally renewable, unlike most other construction materials. The production of timber cladding leaves a tiny carbon footprint, with less fossil fuels required to produce it compared to most building materials such as concrete and steel. Timber cladding is 100% recyclable, meaning it is one of the most environmentally friendly materials available for construction. All of Bennetts Timber cladding is sourced from sustainable forests, certified by the PEFC or FSC. These organisations are dedicated to promoting responsible management of the world’s forests. They ensure that when forests and trees are used for timber purposes that new trees are planted in their place. The cost per square metre of timber cladding is extremely competitive when compared to other building materials, and its ability to be cut to specific lengths and profiles means that quantities can be more easily estimated and as a result waste is minimal. As it is easy to install, time on-site is also reduced, leading to a reduction in overall costs. With its excellent insulation properties, timber cladding’s thermal conductivity is far better than steel and concrete, as a result this helps to reduce the energy needed to heat or cool a building. As a result, this helps lower a building’s overall carbon footprint through lower fossil fuel consumption required to heat it, while saving the owner money over time. Unsure which cladding to choose for your project? Visit our cladding section, where you can find in depth guides on our range of timber cladding and get a free estimate. For more information on our range of cladding, call our experts at Bennetts Timber on 01472 350 151 or email our sales team on sales@bennettstimber.co.uk.